1. 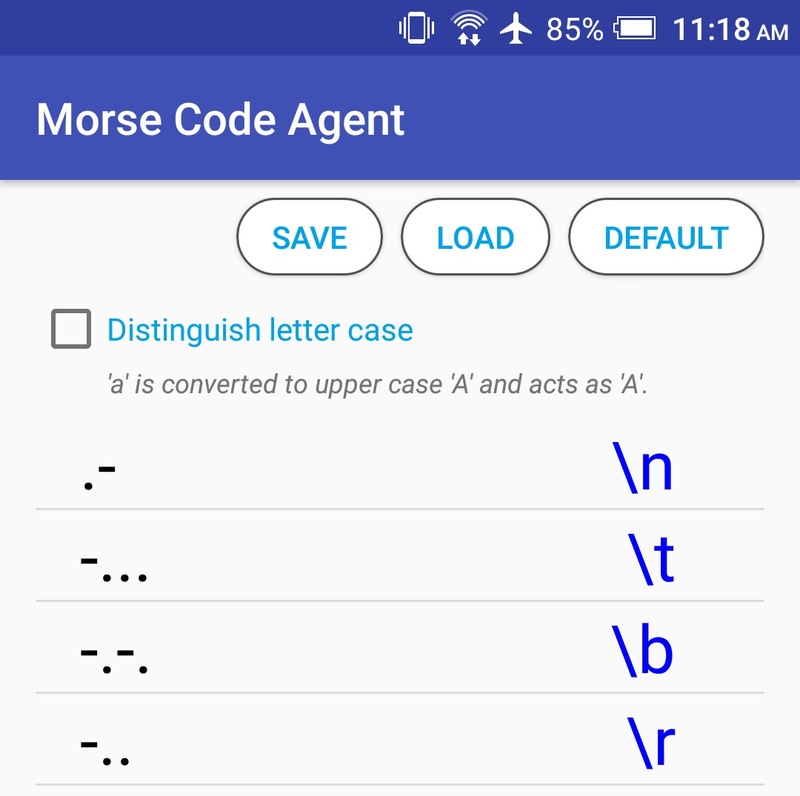 Headphone Jack Tool - Let your phone can decode from headphone jack. The input is no need to be a microphone. Require Android 6.0 or above to support sampling rate more than 48000 Hz. 3. Support plugin - Import your code as the input/output of encode/decode. Doing whatever usage you want. Non-English extensions: Ä, Ć, Đ, É, È, Ĝ, Ĥ, Ń, Ö, Ŝ, Þ, Ü, Ż, etc. 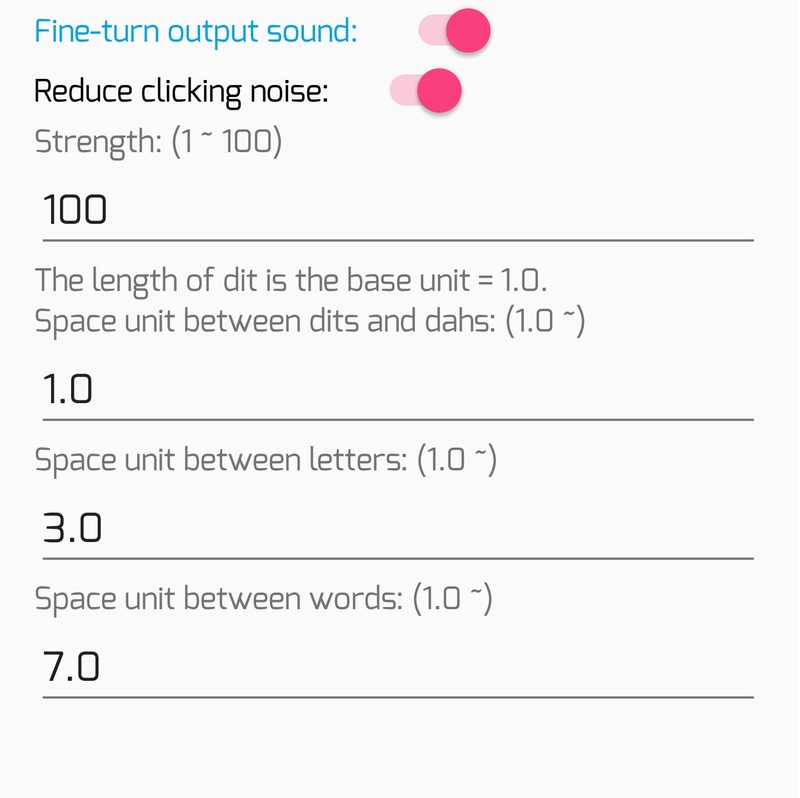 Add: Fine-turn settings for output sound. Farnsworth speed can be achieved by tuning space between letters and words. Thank you for the information , can i ask about OTG and OTA is this support it ?